Yes, truth is most elusive, while facts are waiting to be picked up in deserted telephone booths everywhere. And so it is with "Shockingly Close to the Truth!" by esteemed saucer Commander, James W. Moseley (ret.). As citizen of a former Soviet satellite country sinking into a proverbial toilet, this humble reviewer exceeding surprised to find in mailbox, hefty package of books from Shavertron headquarters in sunny California, (also sinking into proverbial toilet). Last year we had to write movie reviews from dvd ads on Amazon.com. But this year we have real books to read! First of all we have wonderful tale of flying saucer history and autobiography by esteemed Moseley of Key West, Florida, USA. It is entertainingly informational. In fact, Figbar says it is best overview of flying saucer scene (1953 to 2005ish) we have read. I had the enjoyable romp through its illustrated pages. But, caveat emptor! "Shockingly Close to the Truth!" starts out on wrong foot with title. Facts are facts, but truth is always relative. Contrary to title, this book is full of FACTS. Whether it is close to truths, only esteemed Commander knows. And he definitely knows, as whiz bang ending of book reveals. At same time, book also recounts Commander's early years as budding flying saucer icon. Now, most icons take years of suffering at hands of ungrateful public before transformation. We are happy to report Supreme Commander was instantaneous icon from beginning! We begin book as it explains Commander's life choices starting about age 19 when he inherits Trump fortune, including Ivana (just kidding about Ivana). This fact alone makes him a suspect in eyes of many Bolshevik saucer fans, due to suspicions that budding icon is really secret CIA plant!! (Or worse). Ha! No where near shockingly close to truth. Read timely Moseley interview to see what Figbar really means. 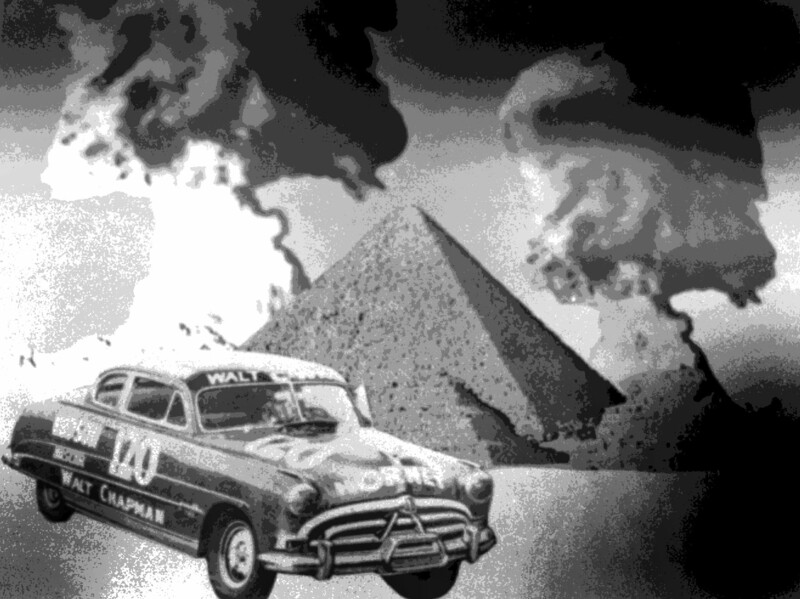 First thing young saucer icon does (after he decides to become flying saucer icon) is drive his 1952 Hudson Hornet across USA, tracking down cream de la creme of saucerdom. He tells of many interviews with likes of burger-flipping Adamski, paranoid Albert K. Bender, plucky Van Tassel, and all manner of freaky characters, including big brass nut balls like Ruppelt and Keyhoe. Sad to say, very little Ray Palmer, who could have solved everything. And no Richard Shaver, so maybe suspicions of dero tamper and MIB cover-up are true! Or not. En route to California, Commander survives H bomb attack instigated by evil galactic warlord Xenu, founder of Scientology. His minion, L. Ron Hubbard sends a terminator (beta model) code name "Tom Cruise" to stop Commander's pioneering work to locate true source of flying saucers. For saucer fans into beloved tale of Bender's Three Men (MIB manifestations) you will find loads about Bender and Gray Barker, the latter being Moseley's famous partner in crime. Figbar says "crime" because of bogus Straith Letter, among other blatant hoaxes. If you not heard this story before, worth entire price of book to learn about it from horse's mouth, so to speak. Not to spoil ending, but Straith letter was big joke, as was Moseley and Barker phony saucer film, Moseley fake saucer landing site in Peru and many more wacky high-jinx on part of both Commander and Number One. Thanks to "Shockingly Close to Truth" whole story finally is revealed. It is no wonder John Keel smashes phone against wall whenever Moseley calls. Then again, one wonders what sacuerdom would be like without likes of Moseley and Barker? Or Palmer? Or Mr. UFO, for that matter. 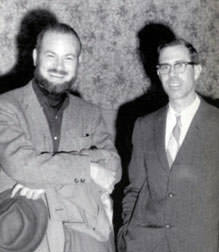 Without them, ufology would have been way too serious. Oh, that part about Tom Cruise shockingly untrue. Shavertron editor have this illustration with Hudson in it, so tells me, "Work this into review, it will jazz things up." Whatever. But biggest bombshell of entire book is saved for last. On page 328 Commander breaks silence about Ray Palmer's FACT about flying saucers. Now, Ray Palmer never did explain where fact came from, nor did he tell eager beaver saucer fans what FACT even was. In "Shockingly Close to Truth," Moseley leaves many hidden clues, and then makes offer of incredible reward to anyone who figures out what FACT is, and writes it to him. Of course, Commander knows FACT, but is not telling. Saving up for big time movie rights. In any case, buy this book. It gets two thumbs up from Figbar for shocking honesty department and a glimpse into life of someone who devoted entire life (and almost fortune) to saucer research. You can write to Commander Moseley for book yourself @ P.O. Box 1709, Key West, Florida USA 33041. Price is $25 in USA, who knows on other planet? Also, for mere "love offering" (in US dollars), Commander will put you on faithful non-subscribers list for "Saucer Smear" world's oldest saucer zine.